Not all those young foreigners you meet in Krakow are here for carefree fun as Erasmus students. I first came to Krakow with the European Voluntary Service (EVS). It was a great experience, and I wish more people knew about it. There are now more than 40 EVS volunteers in Krakow every year – but not a lot of people know what EVS is. I must admit, the first time I heard about it, I thought it was an internship, like the Leonardo programme. It was September 2011. I was in La Puerta del Sol, Madrid, when I met a friend from college who was going to Amsterdam for a year to work with a news agency writing features in Spanish about South America. It sounded like a great opportunity, and I wanted to find out everything about it. After torturing my friend with too many questions, I learned that EVS covers almost all of a volunteer’s costs: you get free food, accommodation, private insurance and pocket money. EVS also pays 90 percent of travel costs. EVS is very similar to the US Peace Corps – young people volunteer to work in another country. The differences are that EVS is for volunteers from EU nations, and that volunteer terms are between two and twelve months, rather than the two years in the Peace Corps. I was sold. My friend put me in touch with the organisation that had sponsored her, AIPC Pandora, which soon became my organisation too. 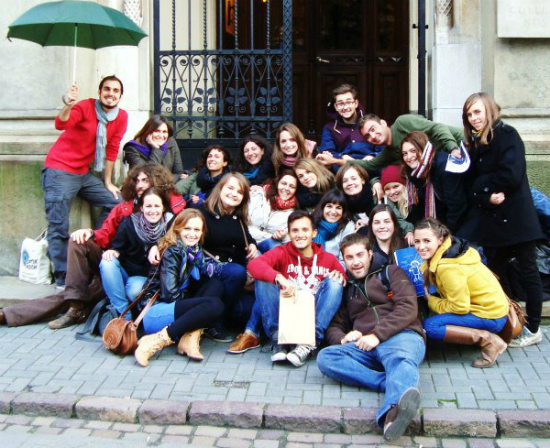 The European Voluntary Service is a programme supported by the European Union Commission, framed in Erasmus+, for people aged between 17 and 30. To volunteer, you need to find a sending organisation in the country where you live (in my case, Spain) and a hosting organisation where the project will take place. Volunteers work for a maximum of six hours per day, five days per week. In some cases, coordinating organisations bring volunteers, sending organisations and hosting organisations together. I was a little worried about the requirements, but one of the great advantages of EVS is that you don’t need a university degree or a language certificate to get in – you just need to have the motivation and patience to do it. I had never volunteered in my home country, but I had always wanted to live abroad for a while, so I started searching for a project. I had no idea where to start, but my sending organisation, AIPC Pandora, pointed me to an online resource where you can find all the groups and projects participating in EVS (European Youth Portal). They also gave me some good tips about preparing my motivation letter in English, in which I had to explain why I wanted to be a volunteer. When everything was ready, I started applying for dozens of projects. I sent more than 30 emails to different countries – I didn’t mind where I would be going. Two months after my first request, I had received some polite responses thanking me for my time, but refusing my petition. The deadline is the moment when hosting organisations apply to their national EVS agencies for funds. The agency verifies the descriptions of projects and decides which ones to fund. There are three deadlines each year – the next is September 30. Urszula’s advice would have been useful to me in those first months. I was about to give up, when an offer arrived. 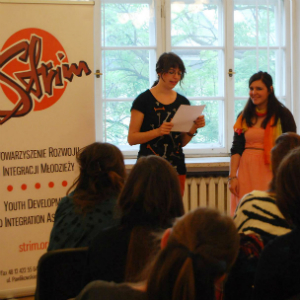 It was from a project in Krakow with the Youth Development and Integration Association STRIM. The project was perfect for me, because it was related to youth and media, but I also discovered that there are projects in more than 15 fields, such as culture, sport, cultural heritage, arts, animal welfare, environment and development cooperation. For example, there are another 22 EVS volunteers working with STRIM, the majority of them volunteering in kindergartens and schools. EVS is a valuable learning experience both for the volunteers are the kids they work with. All the volunteers I spoke to felt they had learned more than in all their years at university: “You became able to live in a country where you don’t speak the language. 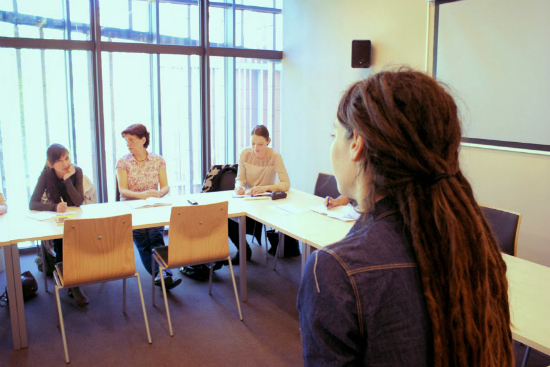 You also learn about yourself and other cultures, because you meet a lot of people from all over Europe,” said Lucille. EVS can alter your perception of life – it certainly had that effect on me. I finished my EVS project one year ago, and I can’t help smiling whenever I think back to those months that turned my world upside down. I returned to Krakow in November 2013, as many others have done, to work and continue living the adventure,. Lucille summed up my feelings very well: “EVS is such a great experience that is hard to return back to real life.” Even if you are in Krakow. I agree with Richard, wonderful article. It would be nice to know if there are any organizations like this in Krakow for people living here already. Volunteering adds such a positive dimension to our lives and having the ability would be wonderful. I donate €750,000 to volunteer programmes each year. I volunteered for one of these programmes 7 years ago. After my first week they refused to pay me, so I left.